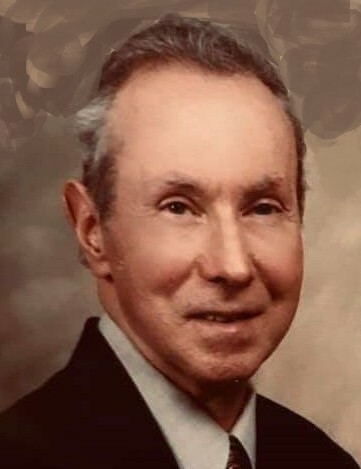 Lawrence “Larry” Robert Bacon, 86, of Bluffton, SC passed away Saturday, January 12, 2019 at his home, with his family at his side. He was born on December 2, 1932 in Willimantic, CT to the late Edmund and Yvonne Bergevin Bacon. Mr. Bacon served in the US Navy in Korea. On April 19, 1958, he married Arline Thibeault. Mr. Bacon retired from the State of Connecticut as Manager for Bureau of Collection Services. He received his bachelor’s degree in nine years, attending night school at the University of Hartford on the G.I. Bill, while working and supporting his family. Larry adored the South and always said, “I was born in the wrong place and at the wrong time of year”. Mr. Bacon loved God and his family. Left to cherish his memory are his wife of 60 years, Arline Thibeault Bacon; two sons, Robert Bacon (Jamie) and Paul Bacon (Shannon); three daughters, Nancy Bacon, Joleen Donovan (Stephen) and Jane Ouimette (Donald); one brother, Louis Bacon; one sister, Alma Zoldak; one sister-in-law, Helen Bacon; seven grandchildren, Paul Bacon Jr., Nathanal Bacon, Sean Donovan (Kelsey), Patrick Donovan, Kellie Demars (Matt), Gabrielle Cole (Tyler), Aaron Ouimette (Tyler Nicole); and four great grandchildren, Abigail Donovan, Jack Donovan, Ambrose Cole and Vera Cole. He was predeceased by one brother, George Bacon; one sister, Agnes Sellers and one grandson Stephen Bramberger. A funeral mass, with military honors following the service, will be held at 10:30 am on Saturday, January 19, 2019 at Saint Gregory the Great Catholic Church, 31 Saint Gregory Drive, Bluffton, SC. The family will receive friends one hour prior to the service at the church. The burial will be at the convenience of the family in Mansfield Center, CT.
No flowers please, per the family’s request.